Flavescence Dorée is a disease with a very complex relationship between the vine, the infectious agent and the vector insect. These interactions set off the epidemic character that expresses itself in a more or less rapid rate on the vine according to different parameters. There is a lot of data available on this pathology and also recent studies have allowed for a further undertanding of the disease, pathogen and vector insect. 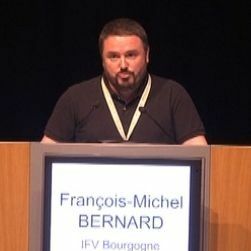 François-Michel Bernard, during the presentation given during the Winetwork session at Enoforum 2017, gives a quick overview of the knowledge gained, refers also to the “knowledge tank” of the project (www.winetwork.org) for a more in-depth look into the various subjects covered during the seminars and articles produced over the two and a half years of research. The main symptoms of the disease, the causes for the difficulties in treating the disease, the origin, the characteristics of the life cycle and the behavious of the main vector insect, the phytoplasma and various suggestions for disease control are some of the subjects covered.